Do you ever look at your website and think it’s not quite doing the job anymore? Maybe it’s the navigation. Maybe it’s the way it looks. Maybe it just doesn’t feel like your business anymore. But how do you know for sure? Let’s get the obvious one out of the way. Visuals say a lot about your business. If your website looks outdated or out-of-touch it could have a negative impact on the performance of your business online. 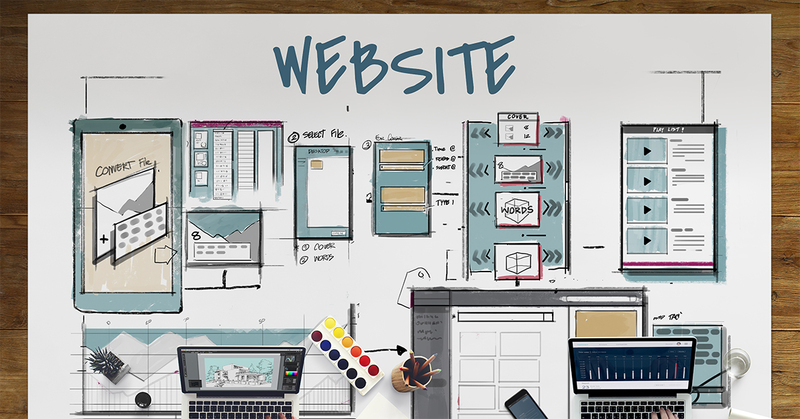 Website design can play a big part in a user’s determination of your credibility. The business could be amazing but if their aesthetics don’t communicate this, users can be dissuaded. For someone who wants to do some quick research, your mobile site must provide them with the information they’re looking for in a quick and easy manner. Failure to do so will encourage them to look elsewhere. Likewise, if users can’t easily complete an action on your website. For a complete rundown on the importance of mobile-first websites, read our latest article. The time it takes for a user to consider whether your website is useful or not is a few seconds. As with your mobile experience, the speed of your desktop site is a major consideration for users. Slow load speeds can also lead to high bounce rates (the percentage of users who visit your website and leave without browsing any other pages). Anything approaching a 70% bounce rate on your homepage should be considered disappointing. This means that it either doesn’t provide users with what they’re looking for or doesn’t entice them to want to learn more about your business. A consequence of this is that your conversions diminish. If your business has undergone a re-brand, your website probably requires more than a simple logo change. It should reflect the new brand personality you want to portray and visitors should be able to easily understand who you are as a business. By extension, your content may be outdated or its tone may fail to deliver the message you intended. A content overhaul can not only improve your message delivery but also improve your Search rankings. And, if done correctly, persuade more users to complete an action on your website. Content updates should be able to be performed by anyone regardless of their technical experience. If updating content in your website’s backend is a complicated process you are wasting valuable time. A custom Content Management System (CMS) is the best choice for content updates. When done right, they are simple to use and save lots of time. If any of these tell-tale signs sound like your website, you may be due for an update. If you are, don’t take shortcuts. Invest the time and money now to get it right and you will save your business a lot of potential headaches and lost opportunities in the long run. Get in touch with our team of experienced website design professionals. Call us now on (03) 9514 3180 or send us a message and we'll get back to you as soon as possible. We look forward to working with you. Previous Article What is the best way to generate property marketing leads?